Would the Rays Entertain a Possible Man-Dam Reunion for 2012? Last off season we became intrigued by the possibility that two men could hold the fortunes of the Tampa Bay Rays within their veterans hands. One provided a bit of stability to a offense that sometimes tumble, tumbled and fell upon it’s face, the other was a gamble, but not a costly one. Each player had their pros and cons for their addition to this young squad, and each blazed their own path for the season early, one falling from grace while the other was quickly embraced by the Rays Republic. 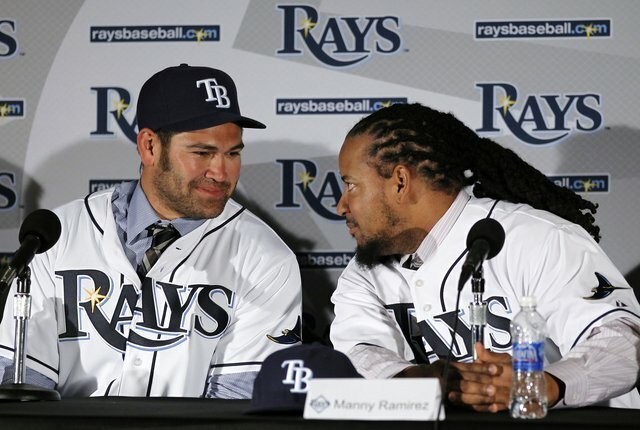 When Johnny Damon and Manny Ramirez emerged for their 2011 Press Conference within the confines of Tropicana Field, the sky seemed the limit for these two aging gladiators of the AL East wars. Both brought a huge chunk of veteran promise towards eradicating and eliminating the offensive woes of this young Rays squad. The Spring came and went with each providing moments that quickly gathered energy and excitement, with each accomplishment building more confidence within the Rays Republic as to their inclusion on the Rays roster. In the end, it was the stability and leadership of Damon, and the perplexity of “Manny being Manny” that played out their parts and determined each of their roles. So here we are almost a year later and again both of their free agent names are producing a intriguing hum along the Coconut Telegraph as a potential Rays duo once again. But I have to ask this in advance this time, will the rubber hit the road with either of them in 2012, or could this be a possible “Pat the Bat” moment in waiting? We all know each player has offensive merits, and their liabilities are well documented, but if the price is comparable to their 2011 salaries, could this be the momentum to include them again in the Rays fold? To what extent do we believe the sincerity of Ramirez, and do we believe Damon’s “youthful” 2011 campaign will play out miraculously again, or fall flat on its face. When veterans are brought in there are risk, but do the risks outweigh the stats when winning has to be archived to stay the course or ramp up wins in 2012? 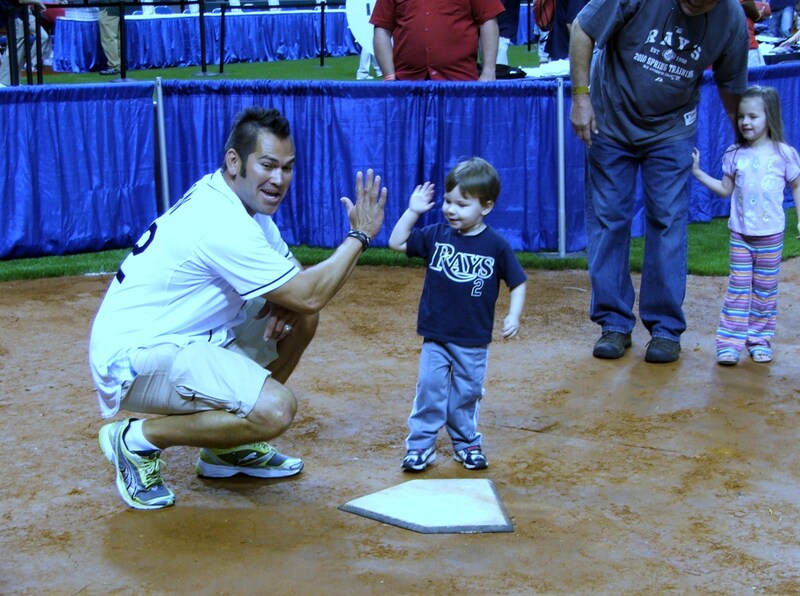 Damon has hinted he would love to again don the Rays Carolina blue unis and stay within his home state for another Rays tour. But even within Damon’s statement there is a dark looming cloud that could not only wreck such a reunion, but could deflate it instantly. Even in the enthusiastic language displayed by Damon in his want for a return into the Rays fold, his hint of a possible migration to Houston has to bring up some interesting question marks. Why would Damon want to glide into Minute Maid Park possibly for the 2012 season when that team will be entering it last tour of duty as a National League franchise. Because of Damon’s obvious defensive skill depreciation as a fielder, his optimistic attitude in possibly joining the Houston club at this juncture seems a bit odd. This same oratory would make more sense in the 2012 off season as the Houston club re-evaluates and re-tools for their own migration into the AL West. Doesn’t it seem more apt and par for the course that Damon would return to the Rays for 2012 with a possibly of a small raise in pay and the same attendance incentives. This kind of move would give Damon a chance to start the 2012 season in Tampa Bay, then if the Rays show a talent/ win digression , he could be a solid Trade Deadline addition for the Maestros emerging as an early candidate for their 2013 Designated Hitter slot. You also have to ask yourself if Damon knows a piece of information or move we are not privy to, or if it is just pure conjecture on his part at this moment. The double talk of Damon eventually showing his cards to both locales would seem moot to some, but the underlying questions is why is Damon showing his cards so early, and why even mention Rays Executive VP of Baseball Operations Andrew Friedman’s name at all, especially since there is a slim chance of him leaving the Rays and going “home” to Houston. Damon is a smart guy, maybe he is playing the odds in both directions even though it could cost him a bit at the bargaining table in the end. Then there is Ramirez. A guy who can drive you batty with his bat and dialog as well as his off-the-field distractions. We all know of his transgressions early in the 2011 season, and it is not worth time mentioning it past this sentence. Still, his domestic situation brings about its own red flags, and possibly makes his name quickly disappear from the Rays “Wish List” this off season, even at a huge discount. Even though Ramirez has paid his supposed penances by removing himself from baseball for the entire 2011 season, will MLB mandate a 50-game sentence still before he can even step upon a MLB diamond. It might be a bit of time before the MLB honchos and the MLBPA sort out his options, eliminating him from the Rays equation by proxy. I was not upset or even a bit surprised by the announcement of Ramirez’s suspension in 2011, but it still cuts deep into the Rays Republic’s aching heart when this past April, as the Rays floundered at the bottom of the AL East, Manny had to vacate the clubhouse bringing an unneeded and warranted distraction that could of cost the Rays more than just a dismal April. Because Ramirez was not lighting up the Rays scoreboard or providing moments of clarity or brilliance at the time of his “reveal”, he was able to fade away basically because we let him. But could a Manny return be in the works possibly with Ramirez again giving a bargain basement price so he can again elevate his game and possibly bargaining chip as a trade piece come late July bringing the Rays an addition that could get them again into the October promised land. I guess the answer all depends on your own opinions as to the ultimate worth of these two players, and if the risk is work the possible rewards, or keeping them out of the hands of divisional foes. These two names might not be heard loudly among the MLB Winter Meeting hallways in Dallas this week, but their presence even outside the comfort level of teams within their division will merit as least a glance in their direction. So should the Rays even listen to a Manny conversation this off season, or just watch as he aligns himself possibly with the Baltimore Orioles or maybe even the New York Yankees and become a thorn in the Rays rise once again. You almost wish the Rays had the payroll of New York or the Boston Red Sox just so we can take him out of the American League East equation in every aspect. Problem is, if Manny comes back to the AL East in 2012, what penalty will MLB propose, or will he possibly be welcomed back with open arms having stayed away from the game for almost a year. 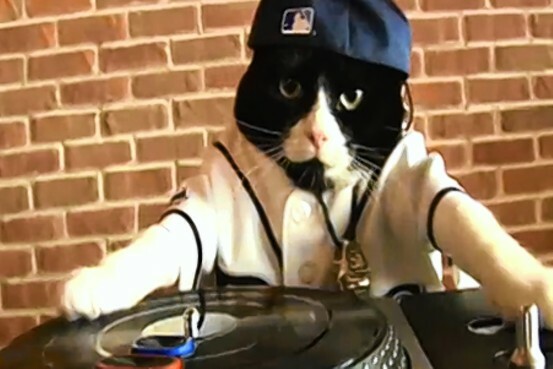 When Damon and Manny emerged for that Press Conference the room grew suddenly silent. There was an aire of dramatic change of realistic hopes of veterans of this caliber embracing this young team and their quest for another trip deep into the playoffs. Manny had to buy a ticket to see those games, Damon got a front row seat to watch this team mature before his eyes. Both took extremely different paths in 2011, but could a possible 2012 reunion or resolution tour be warranted? Every once in a while a fan does something so incredible you hope people around the Major Leagues got to see their perfection. Sometimes getting a professional baseball player to notice you, even for a nano second takes a bit of intelligent thinking or genuine costuming. 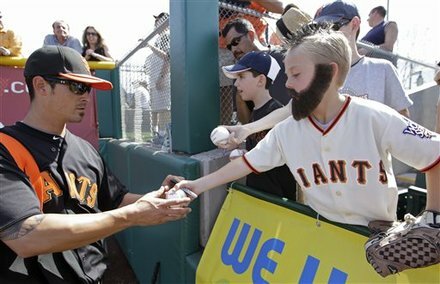 That is why this San Francisco Giant fan really caught my eye, and hopefully he also got the attention he garnered of the object of his affection, Giants closer Brain Wilson. So much was made of the obvious manipulation of Wilson during the playoff of a ample supple of “Just For Men” or some other male hair product. 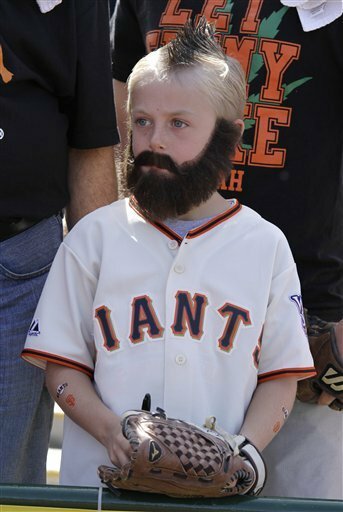 We kind of forgot that someone, somewhere possibly under the age of 9 would emulate or even show up in the ultimate homage to Wilson, a full back beard complete with a blackened f aux hawk on their head. It is one of those signs to people like me that sometimes the fans do have the creative juices and abilities to still make these players take a double take and possibly a chuckle or two as they head to or from the field. But what is so amazing about this young fan is that he made sure he got up front, on the first row and thrust himself in the perfect spot for his idol to see, respond and hopefully grant him the wish of a signed baseball. In this era where some athletes get as bad rap, or even get pushed into a negative label, seeing a young kid emulate a hero, even for a moment just feels right. I am not sure if the Rays fan will do the same thing, but I hope they do. I truly expect to see more than a few f aux hawks materialize around the Trop. over the course of the season, and maybe even a few full beards to show an homage to Johnny Damon or Rays Bench Coach Dave Martinez. 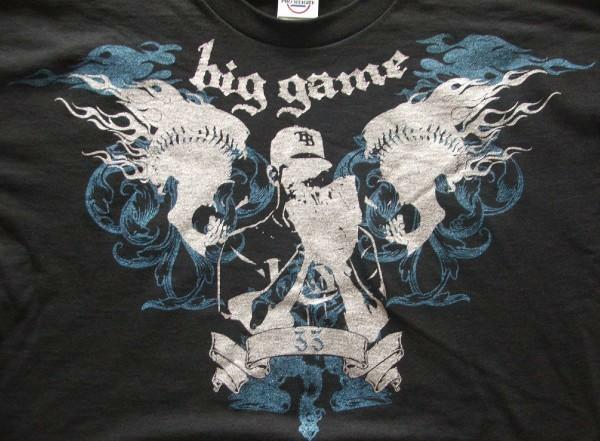 Sure I am expecting a few “Manny” dreadlocks, or possibly a pompadour or two to show some support for Evan Longoria. But will there be anything shown by the Rays Republic in 2011 that would be considered super out of the ordinary in imagination or creativity. Who can forget the sheet propped up in the Checker’s Bullpen Cafe a few years ago asking if the “Rays Wanna Sign My Sweet Spot”. That kind of imagination and creativity get someone like me excited for my team. Maybe that is why that move by that young G-men’s fan means so much to me. These guys hears their names or nicknames hollered at them all the time by kids, adults and even a few overly excited female fans. 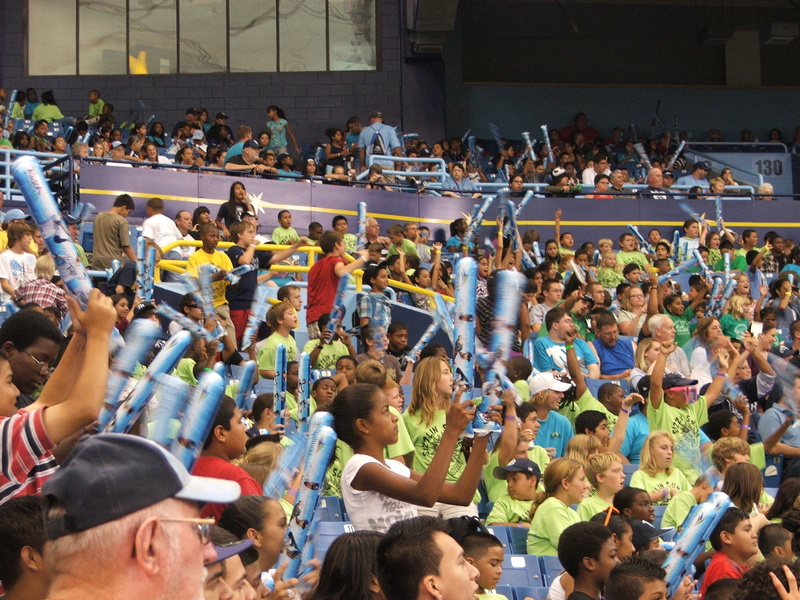 I am looking forward to seeing some new and original signs, T-shirts and possibly costumes during Rays games this season. So that is your task Rays fans, to one up the great and unique persona presented this Spring by that miniature Brian Wilson in Arizona. Come on out and give us your most creative, most original costume idea, even if it is not for an autograph….Possibly you could end up on this blog…..Or even better on National television so the World can one up you too. Did you know that some every day medications we as fans can personally purchase ourselves over-the-counter with or without a doctor’s script can mask a potential MLB positive drug result. With so many knock-offs of well-known medications, or off-brands on store shelves and register countertops, you could purchase a single medicine that could trigger a positive test without ever knowing the basic “banded” substance or masking agent was included in the product. There are so many over-the counter drugs that can mask the elements of a player’s attempted level of drug deceit. The reality is that most of us, on a daily basis, would or could fail a MLB mandated test if we submitted our samples. But the high paced culture of life today doesn’t mandate an abstinence from these types of products, or warns us of their extra ordinary properties. How many of us have really read through any of those medicine pamphlets the pharmacy gives us when you get a new medication? I know I usually only read the dosage and the possible side effects section then chuck it into the trash can. A majority of the drugs mentioned today can be obtained via a doctor’s script at any pharmacies throughout the world, or even online. If these drugs were prescribed to you personally and you discovered their innate athletic performance advantages, would you still use them? I am not implying here that you would use a scientific loophole provided by an over-the-counter medication to get an advantage, but if it can help give you an extra zip or punch without causing a bevy of red flags in a possible urine or blood tests, would you use it? Let’s dive right into this hidden OTC medicine cabinet. The first one up is the literally hair raising drug known as Finasteride or known better as its brand name Propecia. Testosterone has a vital part in helping the body produce muscle mass, and this pill actually helps the body produce an enzyme that converts testosterone into dihydrotestosterone (DHT). The pill is commonly used as a treatment for prostate cancer but has a hidden medical kicker of helping eliminate hair loss and start new hair growth. But Propecia also contains a chemical that can be used to mask the use and effects of anabolic steroids in the body because of the overproduction of DHT. For some reason, this medication was removed from the World Doping Agency list in 2009 and is not considered a banned substance anymore. Curious? The second medicine under the heat lamp is Sidenafil Citrate or better known as Viagra. Most men might use this mentioned medicine to help the ill effects of certain body function which helps dilate the body’s blood vessels to expand and take in more oxygen and rid the muscles of dangerous toxins. Viagra is really helpful in participating in games at higher elevations as it will dilate the blood vessels for the duration of the drug and make it easier for the body to adjust to the higher altitudes and the decrease oxygen intake associated with these altitudes. It can give a short term advantage to athletes playing games in the Mountain time zone, then resort back to their normal breathing habits after the pill is gone from their system. The third drug introduced today was developed to help the aging male population find relief from the ill effects of male pattern baldness. This drug also has been known to hide traces of steroids by masking the symptoms within it’s own chemical molecular bonds. Minoxidil or better known as Rogaine, is one of those drugs that is available right on our grocer’s shelf, and can be purchased with total anonymity. Rogaine was first developed as a potential cure for hypertension, but its side advantages came to light when suffers began to see renewed growth in their hair follicles. It is important here to note that a common side effect of steroid use is hypertension, or a renewed state of anxiousness. Rogaine can be used as a chemical mask to offset the hypertension as well as keep the hair follicles intact on the user during the duration of using the medication. This is also a drug that can be used in plain sight within the Clubhouse and most people around you will not give it a second thought. Now onto a medication that was initially developed to help combat weight loss without throwing your body into a severe crash diet scenario. This Drug is Liothronine also known as Cytomel. The medication is a synthetic form of the thyroid hormone needed by the body to controls our metabolism. Cytomel can be used by a sly trainer/user to get fast results via a six-week cycle to help get body fat down quicker. It also helps its regain muscle mass so they can effectively hide any transformation by not gaining excess or bulky weight distinguished by an adverse gain in size and weight. This drug has also been known to be mixed with HGH as a cocktail to help induce massive changes within a small period of time. This medication can also be taken before a game to bring about a instant rush of energy without the side effects of a positive drug test. And last, but not least today will be the medication Dutasteride or known better as Avodart. This is a true masking agent because it is highly effective in hiding some of the side effects of using anabolic steroids like the unsightly bacne. This medication can be taken in a cocktail also with Propecia which helps regulate the production of DHT, which is the main contributor to the formation of bacne. Avodart acts as a masking agent to dilute the DHT enzyme and creates a buffer to eliminate this tell-tale sign of steroid usage or coming off a steroid cycle. But this is also two-fold as the medication also has a nice side effect of making certain body parts, well shrink in transition to its usage. And because of that, it can give a secondary sight recognition to the possible steroid usage. But there are also other medicines that are used by drug/steroid users to mask intent like Methylphenidate or Ritalin, which gives the user more focus and puts them “in-the-zone” quicker. It was amazing the when MLB banned the stimulant in 2006, the MLB’s drug exemption paperwork for usage therapeutically skyrocketed among players. I did not post this to have people second guess or even try and investigate an MLB player’s medicine cabinet, then announce its content to the World. I wanted to show that even a person outside the game of baseball can produce or even hide a positive MLB drug test without actively knowing it. But they do not ban us from the ballpark…..yet. 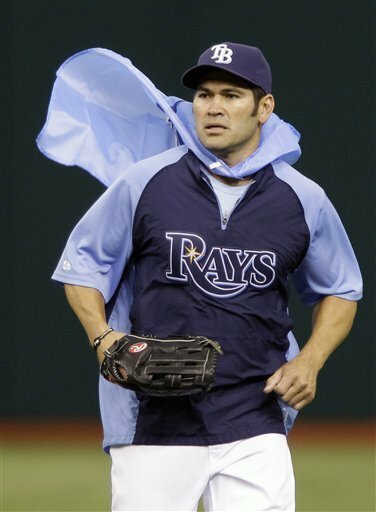 Got to admit to all of the Rays Republic, in the beginning I had a few doubts and even reservations about a Johnny Damon and Manny Ramirez duo signing. Maybe it was the aspect that they have been associated with the 2004 Red Sox “Cast of Idiots“, or maybe I was afraid they might not be able to “Cowboy Up!” one last time. 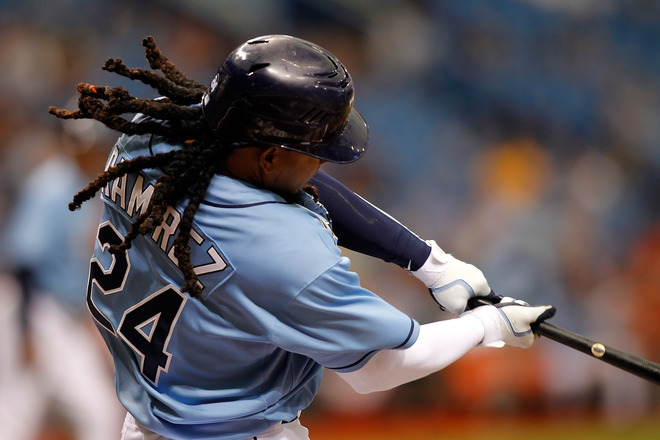 After witnessing the magic and pure adrenaline rush permeating through that Tampa Bay Rays Press Conference media room, my doubts and worry suddenly melted off like Ramirez’s pounds during his workouts in Arizona. From the moment their agent Scott Boras led them into the room until Rays Vice President of Communications Rick Vaughn yelled “Is that all?” This was a glorious ride to see in person. I was not suppose to be in this room nestled near the darkness with my little camera, but the entire Rays office was poised at noon today to see the next chapter unfold and I tagged along for the ride. 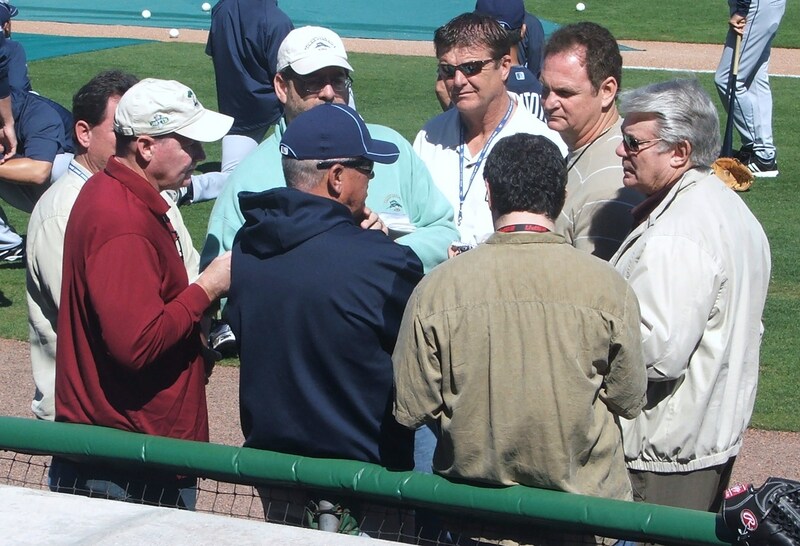 From the media buzz to the clicking of camera’s and live video feed both locally and from MLB, this quickly became a love fest, not just for Tampa Bay, but for the two men seated in the middle of the large table. Instantly you knew both guys were on the same page, had the same intentions and wanted to the guys to help usher in a repeat American League East title. Like Red Sox General Manager Theo Epstein so eloquently said recently, “The demise of the Rays is greatly exaggerated.” I am not climbing the flagpole just yet, or marching fully to that beat of triumph again, but this duo instantly make me hunger for that chance. Both said the right things too. Ramirez flexed his right arm to show his muscle when asked if he was “fit” ,and Damon said insistently this was not the “last chapter” of his baseball career. Instantly the void that grew immense when former clubhouse guru Carlos Pena vacated for Chi-town became smaller. Suddenly I could see the Rays clubhouse leader ship not come from one speaker, but act in stereo with their actions and observations going to make this team competitive every game. Suddenly I remembered why I hated these two so much. Their competitive nature just seems to ooze from their confidence levels, and that used to scare the death out of me. 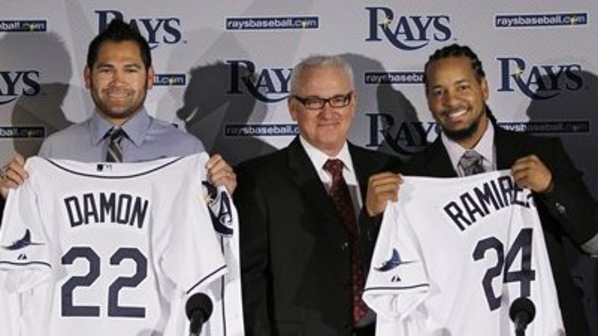 But there were comments from both that instantly brought me back to why they were signed, Damon called the Rays his “Dream Team” or Ramirez saying while putting on his number 24 Rays jersey that he ” looks good in white“. Integrity, confidence and ability all joined hands in that room today. Manny was his usual joking self, but did not shy away from questions on if “Manny might be Manny” in Tampa Bay, but a guy who has hit almost .300 lifetime in this dome knows what is expected of him. Possibly Manny even threw out a nugget for the Rays to consider in 2011 that he thinks he can play “five more years”. Not making any predictions, but if Manny is right he has already made his money….maybe a Tampa Bay discount knowing this team can compete might be in the future. The love fest we saw between these two today was incredible. You can tell they are more than happy to be playing with each other again, and the respect level is very high between them. Several times during the Press Conference I expected both to rise and do an Ari Gold (Entourage) “hug out“. Not since Baseball Hall of Fame member Wade Boggs and HOF hopeful Fred McGriff put on a Rays uniform have I been excited about such a veteran duo. Some in the assembled crowd made predictions of a possible 70 Home Runs between the pair while other were optimistic of a great meshing of the duo with the young Rays corps.I left that room running for my laptop in the car wanting to write this. Eager to let this feeling flow from me today of this incredible moment. Some say defining moments in a franchise’s history never reveal themselves until later, but today the moment just felt perfectly right for a half hour. So the signings are official, the jerseys have pressed their backs for the first time and the media got to shake their verbal hands with Damon and Ramirez. For some reason the comment from Ramirez to Damon of “You play 100 games, I’ll play 62” (referring to LF) is still ringing in my ears…in a good way. I snuck in to see this magical moment mush like a kid who sneaks under the canvas at the circus. I expected to see a sideshow event. Once that propped both of them up in a definite light. What I got was two men who had extreme confidence and respect for each other pass compliment after compliment not just to themselves, but to the young team they will embrace in 2011. I really do hope that Evan Longoria and Matt Joyce and the rest of the Rays budding hitter pick the brains of these two baseball icons. I hope the competitive nature and confidence level showed by Damon and Ramirez today fills that Rays Spring Training clubhouse. But most of all I am just glad I got to see the magic happen….firsthand. Have You Tried the Rays NEW D&M Sandwich? Got to tell you, when I first heard the signing rumblings recently about Florida-born Johnny Damon and Manny Ramirez possibly signing with the Tampa Bay Rays, it made me ………extremely hungry.Yes, you heard that right, I became famished, and eager to sit down and digest this whole enchilada bite by bite. Not sure why this idea of “food” as an analogy point crept into my mind, but the more I focus in on the Rays Republic’s knowledge on these two iconic aging stars, the more my thoughts seem to melt into an ever expanding culinary direction. The extremely wild part of it all is tat I instantly imagines a homemade Peanut Butter and Jelly sandwich when thinking about these two players signing with the Rays. If you really look deep into this equation, the two of them were brought in to be a cohesive bonding agent for the Rays offense. Both have strengths and abilities that will benefit each other, and with their confidence and leadership, could mesh this unit into the perfect PB & J. Of course Damon is the Peanut Butter with his smooth stroke at the plate and good running style. Coming to a team like the Rays that use the stolen base as an additional means to produce scoring opportunities, Damon will get more than a few chances to stretch him self from the heel to the crown of the bread loaf, and smother himself. Most might think I would pick Ramirez for the peanut butter since he does have his “nutty” tendencies, but the P B is all Damon. Not the crunch variety either. I honestly think this was a great move that will actually streamline the Rays running game and produce some great numbers for Damon in 2011. Most people are downplaying the positive aspects of Damon coming here, but remember, the Detroit Tigers were not known for their love of the stolen base last season. Now the big question might be where to insert Damon into this line-up to take advantage of this speed-based offense. That brings me to another reason why Damon is peanut butter. 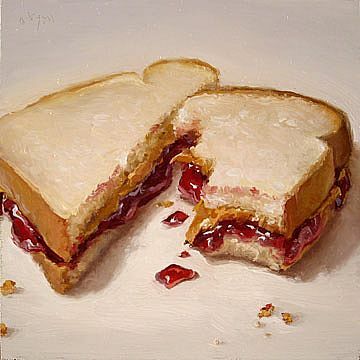 You see, it is not jelly and peanut butter, but peanut butter and jelly. With that culinary distinction, Damon should hit lead-off. Some might suggest B J Upton there with his speed and power potential, but I see Upton actually hitting second and give Damon chances to not only score runs, but possibly put pressure on the opponent’s defense to make the hard plays. But you can’t have PB & J without the jelly. Ramirez is still a great hitter. Just because some of his power numbers have taken a spiral downward since his 50-game in-season vacation while with the Los Angeles Dodgers doesn’t mean it was “juice-induced”. Jelly is all about the preservatives, pectin and the ultimate fruit tastes that push this classic sandwich to the next level. Living in FL, I have gotten to know odd flavor concepts in jelly from orange to guava escalating into my new favorite mango. Ramirez is like a ripen mango, and ready for the picking. He was not happy in La-la Land, and at times his play on the field showed brightly to the fans that if Manny is not happy….Manny takes to playing the game on his own level. Hence the mango jelly. It is an acquired taste. Some people would be repulsed by it while others savor the exotic nature of it all knowing the difference is what makes it special. Hence, Ramirez is the Manny Mango in my jelly-based opinion. 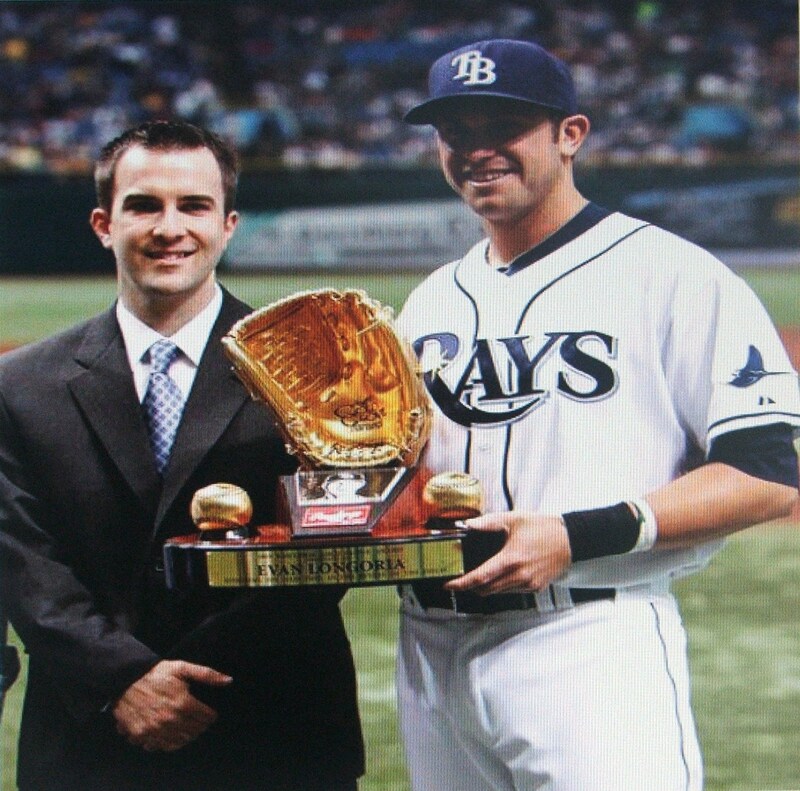 Ramirez was brought here to protect the Rays golden asset, budding MLB hot shot Evan Longoria in the line-up. Ramirez’s ability to hit it long and hard, or just produce period makes him a great protector for Longoria in the Rays line-up. Playing mostly at DH for the Rays ( except during Inter-League), it is a chance for Manny to show the rest of the American League that he can make the transition from everyday field player to Designated Hitter. This is a chance for the Rays and Ramirez to desperately inject a new tangy and intoxicating bit of favor to the DH position without the bitter aftertaste of the Burrell DH era. In short, it is Ramirez playing for a possible 2012 audition as a AL DH. I really feel deeply that Damon and Ramirez aka Dam-Manny come as a unique flavor profile package, not unlike the mentioned peanut butter and jelly sandwich. Heck, the idea that the Rays lost out on signing Andrew Jones is muted instantly by the basic premise of the BOGO (Buy One, Get One Free) situation where the Rays produced a “win-win” situation by getting two prolific scorers for one low price. That kind of grocery savvy reminds me totally of the Rays favorite grocery chain (Sweetbay). When in your wildest notions would you have ever expected to see these two players EVER in the Rays Carolina blue jerseys. 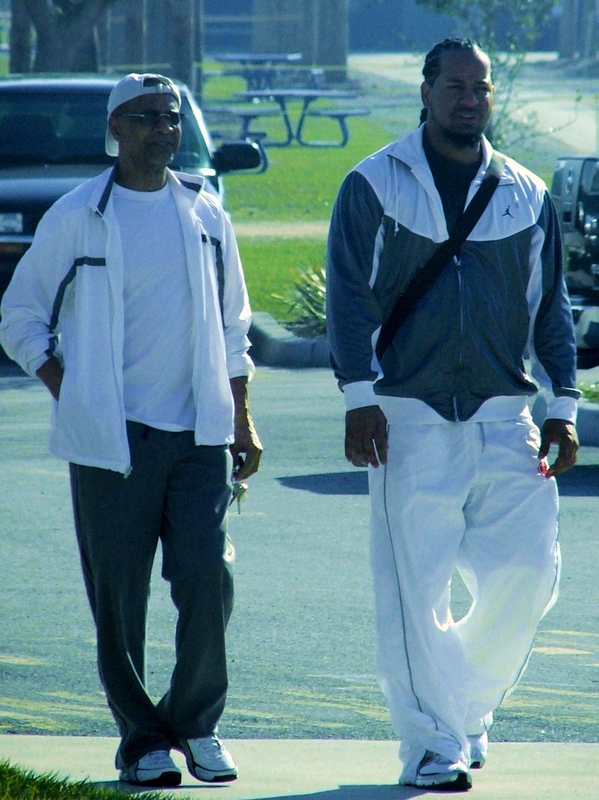 But coming within a month, when they report to Port Charlotte, Florida for Spring Training,. Waiting for them will be a young team with a hearty appetite for winning, and a want to succeed. Most people expected me to possibly throw this deal under a microscope and find fault, blame or even a dab of sarcasm at the expense of the new duo, But this deals makes me extremely hungry for a pure fact that it feels like the perfect sandwich. Together both Damon and Ramirez give the Rays a two headed approach at American League hitting this season, where if they had signed Jones, it would have been one flavor all season long. With the addition of these two talents, we will definitely see either Damon or Ramirez at times camped out in the Rays outfield with the NEW AstroTurf II under their tootsies hopefully performing amazing plays. The addition of the two hitters also give the wheeling and dealing line-up machine of Rays Manager Joe Maddon two more weapons in his daily arsenal to take down the Red Sox and Yankees from their predestined podiums. Damon and Ramirez fit together like peanut butter and jelly. Together they can make a tasty treat that will make you smile and get you excited. But apart, they become two different taste platforms that do not go well on their own merits. I am still feeling a bit hungry, and I think it is time for me to venture into the kitchen for a hearty snack. Maybe I will conjure up a special D&M sandwich, better known to people outside Tampa Bay as a PB&J…..